NEW Marvel Avengers 16gb USB Flash Drive Thor SHIPS IN ONE DAY! 100% Genuine Sandisk - Guaranteed! 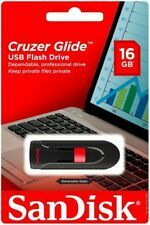 The SanDisk Cruzer Glide USB Flash Drive is backed by a 2 Years warranty. 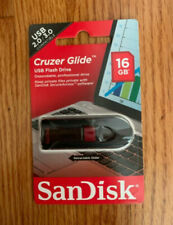 1 x SanDisk 16GB Cruzer Glide USB Flash Drive. Password-protect files with SanDisk SecureAccess software. Retractable USB connector. The SanDisk Cruzer Glide USB Flash Drive is backed by a2 Years warranty. 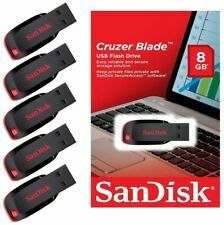 2 x SanDisk 16GB Cruzer Glide USB Flash Drive. Password-protect files with SanDisk SecureAccess software. Retractable USB connector. 100% Genuine SanDisk Retail- Fast Shipping- USA Seller! Item is in great shape and working condition. But still we take our item back within specified warranty period. Up to 150 MB/s SDDD3 Micro-USB and USB 3.0 connectors ! 100% Genuine SanDisk✔Retail Pack✔Fast Ship✔USA Seller! Trending at $8.90eBay determines this price through a machine learned model of the product's sale prices within the last 90 days. (Storage Capacity: 16GB. 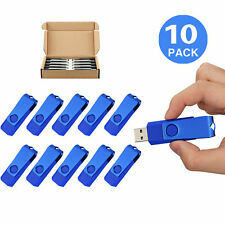 10PCS/LOT x 16GB USB 2.0 Flash Drive. The data write speed: 3M-7M/S（USB2.0) Compatible with Windows 7/Windows 8, Windows XP, Windows Vista, Mac OS 9.0,Hi-Speed USB 2.0 port required for high speed transfer. Trending at $8.10eBay determines this price through a machine learned model of the product's sale prices within the last 90 days. USA SELLER! 100% NEW ORIGINAL PRODUCT!!! FAST SHIPPING. Full product descriptionCruzer Fitâ„¢ USB Flash Drive is cleverly designed with a low-profile. That means you can slot it neatly into notebooks, tablets, TVs or car audios, even in the tightest spaces, and keep it there without fear of knocking it. Simply, it takes up so little space that itâ€™s surprising how much you can store in it: your favourite pictures, music and video collection. Its small footprint also makes it easier to start sharing with your family and friends. 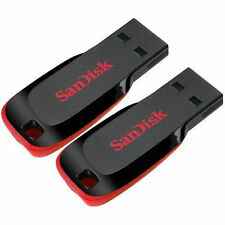 Plus, Cruzer Fit USB Flash Drive can also keep your private data private, with the included SanDisk SecureAccessâ„¢ software, and enjoy the added protection of secure online backup.LOW-PROFILE FOR EASY CONNECTIONSThe drive's low-profile design allows it to easily connect to any USB device. Model : DataTraveler G4. Capacity : 16GB. interface :USB 3.0. Part NO : DTIG4/16GB. BUY it now Available! Keychain USB Flash Drives 2TB Pen Drive Flash Memory USB Stick U Disk Storage. USB connection, support hot swap. Model: usb flash drive. Solid state storage, shockproof and electromagnetic protection. Fast speed in write/read transfer. Durable data storage. Flash drives are devices made to store computer files for music, videos, photos, images and documents. It is small with varying capacity and data speed. Storage uses a solid-state drive which translates to no moving parts. This makes a flash drive not only convenient but durable. With its built-in USB connector, the flash drive can connect to computers and appliances with a compatible USB port. It's powered by the connecting port. 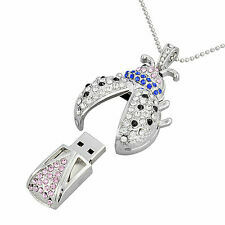 Flash drives are sometimes referred to as thumb drives or jump drives. How many songs can fit on a 16GB flash drive? Depending on the size of the music files, you can fit 3,600 to 4,600 files. The size of your music files depends on the quality of the recording. High quality files can be more than 3MB each. This will reduce the number of total files your flash drive can store. What does USB 1.1, 2.0 and 3.0 mean? USB stands for Universal Serial Bus. It's a computer protocol created to make transferring data among computers easier. 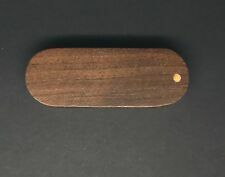 Computers had USB ports. Electronic products and cables had a built-in USB connector. The first version was called USB 1.1. File migration was possible but it was limited by slow speed and low capacity. USB 2.0 had speedier data rates. A 2.0 port can recognize and accept data from a USB 1.1 flash drive. However, a port's performance is affected by the earlier protocol. A 1.1 device cannot move data at the rate of a 2.0 device despite being plugged into a 2.0 port. USB 3.0 was developed in 2009. It is much quicker than earlier versions while retaining backwards compatibility. A 3.0 USB will not be recognized by a 1.1 or 2.0 port. What sizes of USB flash drives are available? USB Flash drives are offered in the following sizes: 2GB, 4GB, 8GB, 16GB, 32GB, 64GB, 128GB and 256GB. Features can vary. For example, a Sandisk drive may have added security capabilities. How many files can I fit on a 16GB flash drive? The actual number of files depends on the size of the individual files. Smaller files will lead to higher storage numbers. For example, if your pictures are professional quality with high resolution, they can be as large as 5MB or bigger. High quality music files can reach 4MB or more depending on the length of the song. Video sizes depend the quality, encoding, compression and length of each video. Plain text files are tiny even with many pages. Files from word processing programs are much larger. In general, 16 GB drive can hold 9,800 1.5MB photos, 3,686 4MB songs, 14,500 short documents and 36 hours of compressed videos. How long does it take to format a USB flash 16 GB drive? It only takes a short time to format a USB flash drive. A high-capacity flash drive will take longer like a half hour depending on the type of formatting. However, formats differ between Windows and Mac computers. Flash drives are typically compatible with both upon purchase. If your needs are specialized, then formatting specifically for Windows or Mac use maybe be required.